Create more than 200 unique agendas! 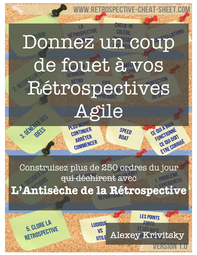 Get a copy in your language! 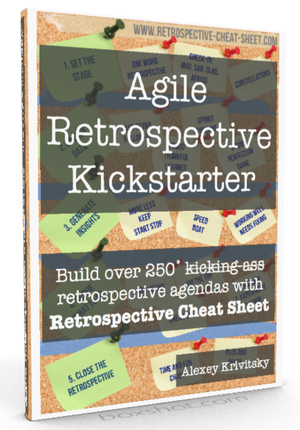 The Retrospective Cheat Sheet lets you create numerous (actually more than 200) unique agendas for your retrospectives. 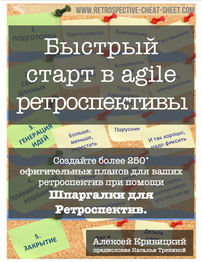 This Cheat Sheet as well as the book is available in multiple languages. 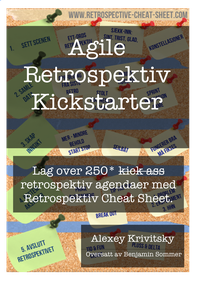 All of the exercises listed in the Cheat Sheet are explained in details in the accompanying book "Agile Retrospective Kickstarter". 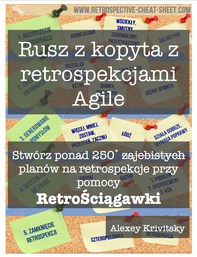 Get your copy from leanpub or amazon. 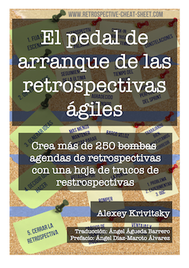 This mini-book is made to be a very practical pocket-guide for anyone who is learning how to run great team retrospectives by varying agendas based on the team mood, size, proximity and other factors. 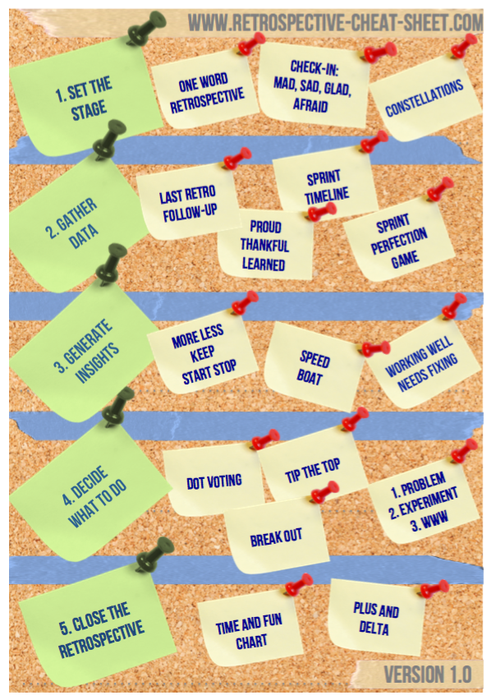 It will serve you as a good starting point to craft your retrospective agendas where fun and use are well balanced.